NOTE: Update from Tuesday, August 4, at the bottom of this page. 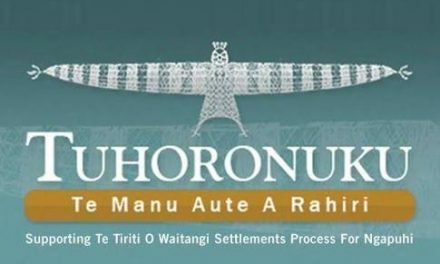 This update is prompted by a decision by the Waitangi Tribunal that dismissed the urgency application for now, but certainly signals the issue is still very much alive for the Tribunal (update is a 3 min read). Original post from Sunday, August 2: Secrecy and mistrust still surround the trade deal negotiations in Hawaii where the New Zealand team has been hoping for … well, who knows? It’s too secret for us to be told until it’s all signed up on our behalf. That’s if it’s ever going to be all signed up. Meanwhile, Moana Maniapoto is keeping us up with the play. Mahalo, as they say in Hawaii. Let’s be grateful that those TPPA negotiators have reached for the brake pedal – and opted for a cup of tea and a lie down. At a press conference yesterday in Hawaii, representatives from the 12 TPPA nations admitted they hadn’t nailed the deal. But they would carry on talking to try settling their differences. Stalled but not defeated, is the assessment of Jane Kelsey, the Auckland University law professor who has kept an especially close eye on developments. It was the big kahunas – Canada, USA, Japan and Mexico – who couldn’t come to an agreement on two deal breakers. One was auto (vehicle manufacturing). And dairy was the other. Our trade minister, Tim Groser, didn’t down tools because of his concerns about the Treaty of Waitangi. Or intellectual property. Or Pharmac. Or workers’ rights. Or because he’s worried that the right of future New Zealand governments to make policy may well be constrained. Or because they could be hauled off to an overseas disputes tribunal by corporations seeking compensation for loss of projected profits. One of the reasons he dug his toes in is because even the tiny gain we have been fighting for isn’t looking much chop. Tim says he won’t back a deal that doesn’t significantly open dairy markets, but he’s confident negotiations will eventually find the “sweet spot” on dairy. The Dairy Companies Association of New Zealand commended him for standing firm. Andrew Hoggard, the Federated Farmers dairy industry chairman, described the deal as looking “disastrous” for New Zealand – which is fascinating, given that the farmers are New Zealand’s justification for flogging off nearly everything else we have in the cupboard. 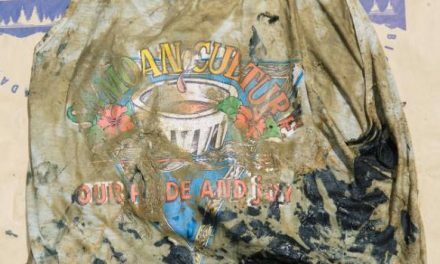 People from all walks of life, not just Māori, are up in arms about much more than just a stink deal for dairy. Two muso mates of mine dropped in to watch the rugby the other night. They opened up a conversation about the lack of transparency, loss of democratic rights and sovereignty. You have to wonder at the arrogance of a government, mid-cycle to the 2017 elections, calculating that we, the voters, will forget. Certainly, for now, the TPPA acronym is on everyone’s lips. There are open letters flying everywhere – to Heads of State (NZ Māori Council), to both the PM and Tim Groser. (One is from the Labour Party, another from Action Station). The letter that’s had the most publicity was an epistle from Hone Harawira to President Obama, the man whose fast-track consent from the US Congress sent everyone into a tailspin. 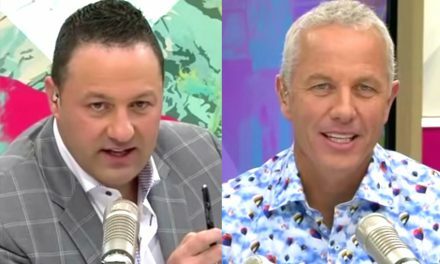 Even Mediaworks is riding the wave of popular opinion with polls on flagship radio and TV programmes showing overwhelming opposition to signing. As we wait for the Waitangi Tribunal to decide whether to move to a full hearing on the Crown’s actions regarding the TPPA, there is an urgent application to the High Court for judicial review. 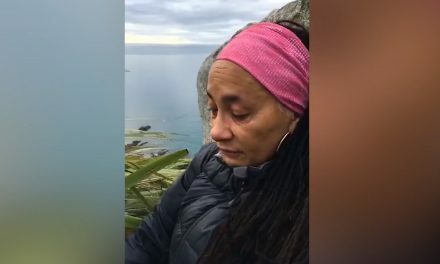 Jane Kelsey is joining with Consumer NZ, Ngāti Kahungunu, the Association of Salaried Medical Specialists, Oxfam, Greenpeace and others to challenge Tim Groser’s blanket refusal to release any of the categories of information sought by her under an Official Information Act request on January 25. We saw the blanket ban in action when our lawyers tried to source documents before our Tribunal claim was filed. No wonder the Minister is getting a bit hoha. “This is a moving game and we need adults to do this, not breathless children to run off at the mouth when the deal is not actually finished,” he said, rather breathlessly himself. In my view, that’s the sound of a man who’s spent most of his life working on the deal of the century and is way too close to it. The thing is ordinary people are now getting some sense of what our country stands to lose. The PM helpfully admitted this week that, well, yes, medicine costs are likely to rise. So the big question is what is in it for New Zealand? 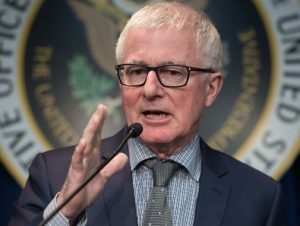 While the PM and his Minister of Trade have trumpeted the economic gains for our agricultural sector, the US Department of Agriculture crunched the numbers into a different reality. They said that, if all trade barriers were flattened to zero across all 11 countries – which will never happen – the best case scenario was that New Zealand could expect a rise in GDP of 0.01% by 2025. I was never much good at maths, but that doesn’t sound too flash to me. Just over a week ago, the Waitangi Tribunal held a judicial conference to consider the question of urgency. They began the hearing by asking claimant counsel why our claim was filed so late in the day. Our lawyers said the claims were not filed late. It was the Crown who hasn’t left enough time in the process to engage with claimants. We say the Crown has breached their obligation under the Treaty of Waitangi to proactively engage with Tangata Whenua. Information retrieved under the Official Information Act revealed that the Crown ticked off an encounter at a hui where one unnamed woman spoke at the end of scheduled presentations. No formal or informal records of this can be found. The Crown also said they consulted with Ngāti Kahungunu, much to the surprise of that iwi who had written to the Crown and asked to be kept in the loop. They never heard back. The Tribunal asked to see the text of the TPPA, especially the special Treaty of Waitangi exception clause that the Crown says protects Māori rights under the TPPA. The Crown refused, on account of the TPPA being secret and all. The Tribunal said they would keep any documents confidential. The Crown refused on the basis that it was all too complex. I’d be thinking the Crown is shooting itself in the foot here. You can’t assert, on one hand, that consultation has occurred, and then, on the other hand, refuse to divulge anything on the grounds of secrecy. So the Tribunal gave it another shot. Our lawyers worked up a proposal and sent it to the Crown lawyers. But it was a no from them. Yet they’ve been peddling the idea to New Zealanders that once it’s signed, we can start the debate – and have our say. The media, thanks to Jane Kelsey, finally started to unpick that mythology this week – thanks partly to the blundering of Mike Hosking, a host of the ironically named Seven Sharp. He showed that it’s not especially clever to skip your homework when discussing the secrecy around the TPPA with a woman who’s a world authority on it. “That’s how all trade deals work,” he declared. Jane pointed out that, apart from the wee fact the TPPA goes way beyond an ordinary trade agreement, she’s counted at least five major agreements that weren’t secret. Here’s something else that Mike didn’t bother to find out. The fact is that we don’t get to debate and fine-tune the TPPA after it’s signed. That suggestion is a red herring. It only needs the Cabinet to ratify it, not Parliament. A vote is only needed to change domestic law to realign with any new needs of the TPPA. And, if we decided we wanted to change a clause in the TPPA, New Zealand would have to negotiate with 11 other countries. Once the deal is done, it can’t be reopened. The Tribunal has enough evidence to make a decision on whether to grant urgency and move to a full hearing, and will make their decision as soon as is possible. Looks like we’ve got a window to be heard now. The reality is the Waitangi Tribunal can only make recommendations to the Crown. We know this. But at least we are putting on record the serious breach by the government as well as their disregard for the people who they are meant to serve. And, in a sense, we’re also putting on record that, while most of us aren’t interested in reading the actual text ourselves, we do want clever, well-informed people who we trust – people who are independent of the negotiators – to be fully engaged in the process on our behalf. On Monday, August 3, our cluster of five claimant groups (who had applied for an urgent Waitangi Tribunal hearing on this TPPA issue) received the Tribunal’s decision that, for the moment, it is declining such applications. We think the window has opened - and that this issue will be fully heard before the tribunal. The Tribunal sees the scope for “significant prejudice to Māori” and made the comment that the Crown is treating Māori as domestic “stakeholders,” rather than “Treaty partners.” The Tribunal also says the Wai262 report had made recommendations about international agreements, and that the Crown has made no domestic policy changes as a result. Right now, it’s all about timing. The Tribunal said that, if the TPPA is not concluded and still delayed until after the 2016 United States presidential elections, the Tribunal will hear from parties and will likely hold a full hearing. In this situation, it is possible the Tribunal will order the Crown to supply the text to them confidentially so they can assess how prejudicial it may be for Māori. If the TPPA is concluded in late August or early September and the text is then released, the Tribunal will hold a focused hearing on whether the Treaty of Waitangi exception protects Māori, and what Māori engagement is necessary prior to ratification of the TPPA. It’s important to remember that only the Cabinet (not Parliament) is needed to ratify the TPPA. And, secondly, that, although the Crown said in the hearing that the clause was a “bottom line”, it still hasn’t confirmed that the clause has actually been accepted by the other partners to TPPA. And, thirdly, no independent party has been able to see this clause, let alone assess it. (a) The TPPA is substantially different from previous free trade agreements. The effectiveness of the Treaty exception clause in such a different agreement is unclear and untested. (b) The confidentiality requirements of the TPPA negotiations do not prevent ministers and officials from providing information and documents to persons outside the Government including Māori. It is just New Zealand's negotiating practice not to do so. Claimant counsel Kathy Ertel said, after negotiations in Hawaii failed to reach a conclusion, and with three big obstacles blocking a deal, the Crown had to concede that there was a realistic window for an inquiry. The Crown of course, disputes this. It is consistent if nothing else. The Crown says that the timetable remains the same. Our lawyers say that media reports from other countries contradict that assertion and they plan to dispute this. They also say that the Crown has adopted a confrontational approach to opponents of the deal, and asked for a hearing on the level of consultation Māori can expect when the Crown negotiates such agreements. So we’re some way from the finish. It ain’t over, until it’s over. I find it very strange that The Crown is sticking to this stance in this world of fast and easily accessed information. I hope and trust that the Tribunal will take Key and Gricer to task for trying to slip through changes that seem to undermine the core treaty of our country. It’d be like Obama trying to land a deal that tore up their constitution. This whole debacle of secrecy is concerning. Who ever heard of signing a deal before you know of it’s contents? Who ever heard of negotiations happening after the deal’s been done? Is our Government mad? The Crown still up to it’s thieving tricks again. What’s in it for the Crown this time round though, our soul’s? It is surprising how many former anti-treaty supporters are now hoping that the Tribunal will be the catalyst to unshroud the secrecy involved with the TPPA. Maybe our treaty will be a rallying point for Aotearoa going forward as non-Maori NZers start to appreciate the evil (yes, evil) of this agreement and all those who champion it. Maranga ake e hoa ma!!! Respect to Moana & Lawyers!